Building cars in Australia is not viable. Apparently. So how can Chrysler justify bringing in a special-order V8 for our market? BUILDING cars in Australia is not viable. Apparently. 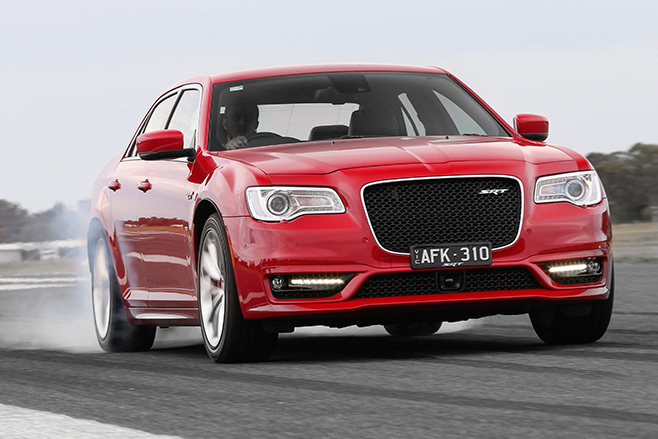 So tell me how Chrysler can justify bringing in a special-order 300 SRT to our market. 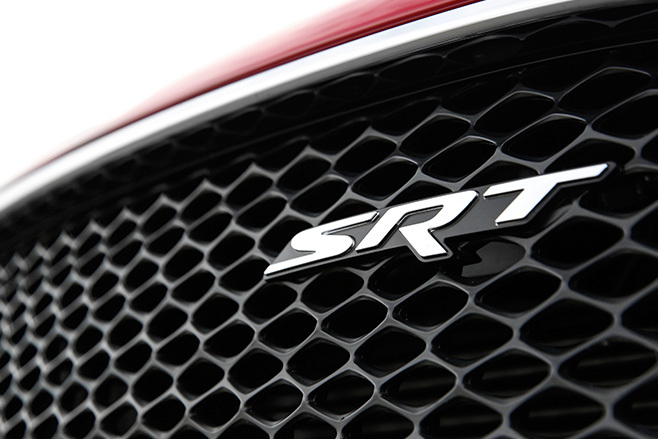 The new SRT, which has just gone on sale in Australia, is not a car you can buy in North America, its home market. Yes, you can buy a V6 Chrysler 300 there. And yes, you can find the SRT’s 6.4-litre V8 in near-identical guise under the bonnet of the Dodge Challenger. But a 6.4-litre Hemi V8 in a 300? Only we Aussies get it. So how can a car company spend time putting a specific engine in a different body – on two different lines – and converting it to right-hand drive before shipping only a few hundred a year to one of its most distant markets? Profit? Like any good car maker, it wouldn’t be doing it if it didn’t see dollar signs on the horizon. But how? Will it sell that many? “That’s a good question,” said Alan Swanson, senior manager of product strategy at Fiat Chrysler Australia, before the PRs butted in with “We don’t comment on sales forecasts”. Of course you don’t. Yet Chrysler Australia has pushed the folk at Auburn Hills in Michigan directly for the hero 300 V8. And, somehow, has made the business case stick. That’s despite the fact that Chrysler sold only 563 examples of the previous 300 SRT here last year, 683 of them in 2013, and over the first seven months of this year had managed to move only 596 cars in total (granted, it offers only two ranges, the 300 and Grand Voyager). 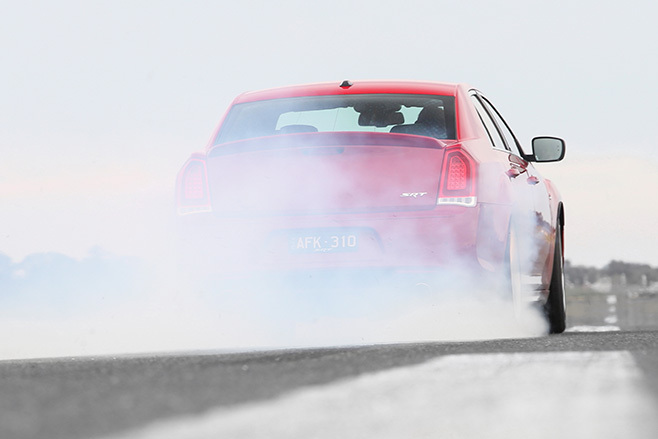 With rear-drive V8s an Aussie pastime, sales of the hottest Holden Commodores and Ford Falcons are steaming ahead. Ford re-introduced the XR8 late last year, having underestimated our appetite for such car, and promptly found it couldn’t build enough of them. One in three Holden Commodores sold is a V8-engined version, too, and that’s expected to increase to around half before the last Aussie-made Commodore rolls of the production line in 2017. So how can Chrysler bring in an ‘Aussie special’ of a car built in Canada with a Mexican-made engine? By the end of July 2015, the 300 had sold 28,889 units in the US alone. That doesn’t include sales in any other market. Compare that to the Commodore’s 15,799 and the Falcon’s 3705 in Australia (neither figures including strong ute sales). Of course, it’s fair to say that the Commodore – whose V8 is also made in Mexico – is getting a boost from the emotion of its departure as an Aussie car, and that Ford isn’t exactly spruiking Falcons – even its staff can’t get the car they want if it’s locally made, as the production lines have been wound back significantly. The sales figures for the Chrysler may mean that it can easily amortise costs, but then not a single one of those near 30,000 US sales was an SRT with a 6.4 V8. Nor were any right-hand drive. The SRT is not even on sale in the UK, a huge right-hook market, where Chrysler currently offers only a diesel-powered 300. Chrysler Oz says that it’s sold more than 3000 SRTs since the model was introduced here back in 2005. There will be more V8 Commodores than that sold between now and the end of the year. Yet, with the Aussie dollar now at 70 US cents and China faltering, it’s not enough to keep the dream of local manufacturing alive.